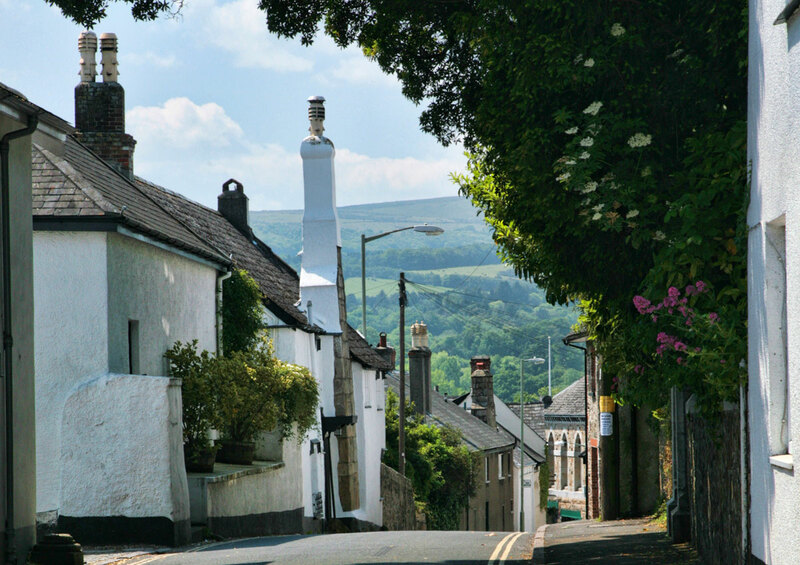 Bovey Tracey is a small market town, built of cob and granite and known as one of the gateways to Dartmoor. 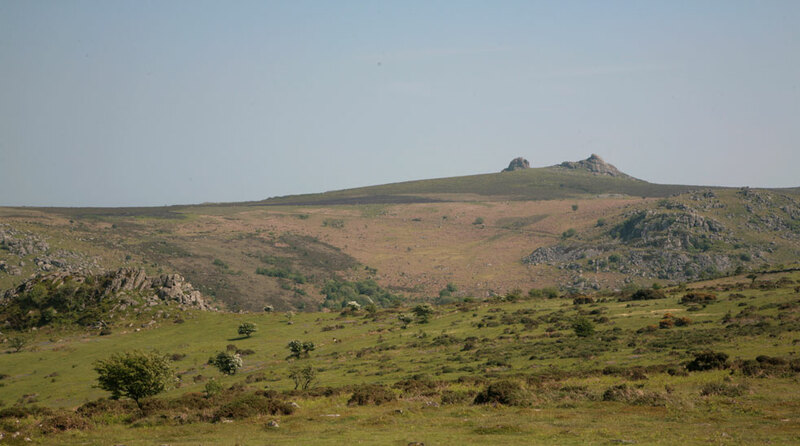 It is the ideal location for exploring the southern edge of the moor and is close to the famous Haytor, one of the high points of Dartmoor. At nearby Parke is the headquarters of the Dartmoor National Park Authority. This large house and estate was left to the National Trust in 1974 and is leased to the Park Authority. Even before the Norman Conquest, there was a Saxon settlement known as Boffa in about 500AD. 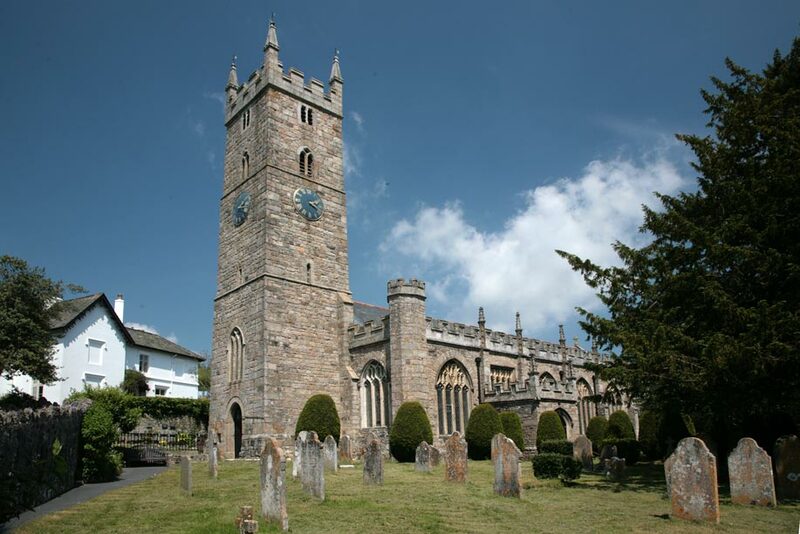 The name Bovey derives from the River Bovey which passes through the town. The de Tracey family was a Norman family who settled in the area after 1066. William de Tracey was one of the knights who murdered Thomas à Becket in Canterbury Cathedral in 1170. William is said to have rebuilt the Church of St Peter, Paul and Thomas of Canterbury in penance for his part in the murder. The present church, with its fine coloured rood screen and carved stone pulpit, dates mainly from the later 14th and 15th centuries. De Tracey later added his name to that of Bovey, thus renaming the town. He is said to have lived in the Manor House, built about 1200, in East Street. In 1260 a Fair and Market Charter was granted by Henry III and there is still a Farmers’ Market on alternate Saturdays. The parish church mentioned above is just past St Mary’s Well. The first church was built here of mud and wattle around the 5th century. Every church since then has been built on the same site. 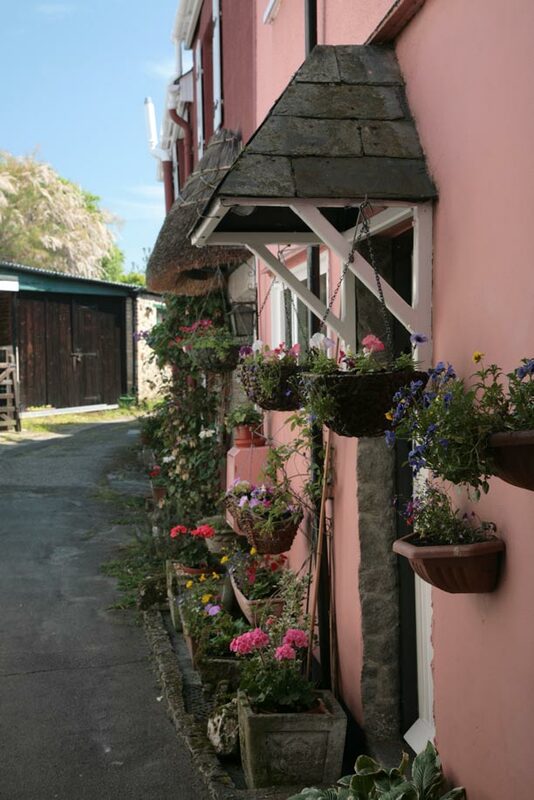 Nearby is a thatched building dating from 1490. This was designated for use as a church hall, but also served as an alehouse! A gateway, known as Cromwell’s Arch, lies a little off the main street. This is all that remains of a monastery which once stood on the site until it was demolished in 1822. It now serves as a reminder of Bovey Tracey’s connection with the Civil War. In January 1646, the town was the headquarters of Lord Wentworth. Cromwell's troops are said to have surprised Royalist officers who were playing cards in a house in East Street. The Royalists threw coins out of the windows, leaving the poorly paid Roundheads to fight over the money while they escaped by the back door. They still managed to lose the Battle of Bovey Heath the following day when Cromwell’s army overcame them. A section of Bovey Heath is a Scheduled Ancient Monument Site and important artefacts from the battle have been found there over the years. Bovey Heathfield is a haven for rare plants and wildlife owned and managed by Devon Wildlife Trust. The town’s pottery industry was established in themed 18th century. The local potteries are believed to have played a significant part in the development of English industrial pottery. Ball clay and lignite, a sort of coal, were readily available close to the town so the industry expanded swiftly. At the height of their success, Bovey Tracey Potteries provided jobs for about 250 people. By the middle of the 20th century, the industry was in decline. Today the bottle kilns and examples of local pottery can be seen at the museum located at the House of Marbles, to the south of the town, where there is also a glass blowing centre and the largest collection of marbles in the world. Other potteries produced different types of products within the area. These included the Candy Art Pottery, Wemyss Ware and Plichta. Wemyss Ware is still manufactured locally. 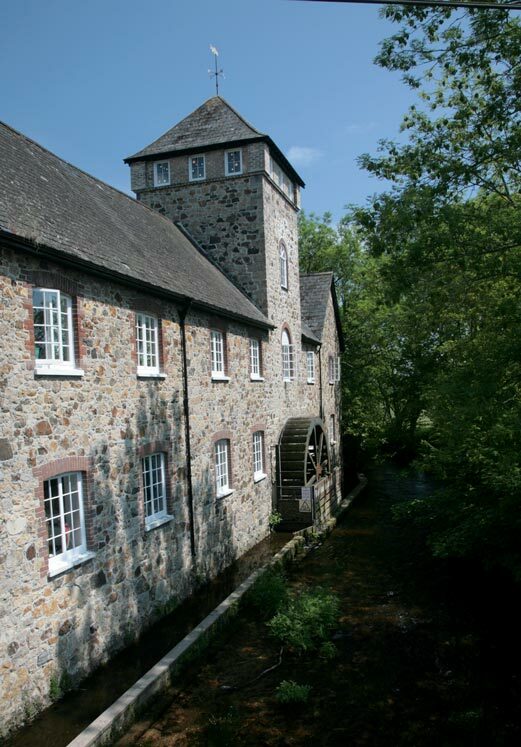 The restored Riverside Mill building in the centre of Bovey Tracey is home to the Devon Guild of Craftsmen. The building was never used as a mill but was built in 1850 as a stable. The waterwheel simply collected water from the river for use in the stables. The old Market Cross, close to the Town Hall, has been restored as a War Memorial. This was the original site of the village green and the Town Hall was opened here in 1866. Courtenay House was the original site of Bovey Grammar School. It later became a Mission House and was used for parish relief work. In 1820 George Templar built an eight mile tramway to connect the granite quarries at Haytor and the Stover Canal at Teigngrace and thus to transport granite down to the River Teign and the coast. Templar Way Trail follows much of the original route of the tramway from the moor to the sea. The railway linking Newton Abbot to Bovey Tracey was built in 1866 and closed in 1959. The Grade II listed Railway Station building is home to the town’s Heritage Trust.